The Cloud Certified Professional (CCP) curriculum from Arcitura is comprised of 21 course modules. Course delivery options can include private on-site workshops, live virtual training, public workshops or self-paced training via Study Kits or eLearning. Each module is a one-day course when taught by a Certified Trainer or can take 10-14 hours to complete via self-study. Concepts, terminology, technologies, benefits, challenges, SLAs and business cost metrics associated with cloud computing are covered, along with SaaS, IaaS, PaaS delivery models, common cloud deployment models, and cloud characteristics. This course covers a range of topics related to cloud computing mechanisms, cloud security threats and controls, and essential cloud technologies. Also addressed are testing, cloud storage, industry standards, and emerging technologies and trends. A hands-on lab during which participants apply practices, mechanisms, and technologies to design cloud-based service architectures in order to solve a set of complex problems. This course delves into the technology architecture of cloud platforms and cloud-based solutions and services by exploring a series of new cloud computing mechanisms and their utilization via a set of cloud computing design patterns. Advanced technology architecture topics are addressed in this course with a focus on complex cloud-based solution design, including the incorporation of hybrid cloud deployment models, compound design patterns, and solution architectures that span cloud and on-premise environments. This course dives into the implementation technologies behind the cloud security mechanisms first introduced in Module 2, and further explores how these mechanisms and associated security technologies can be configured and combined to establish a cloud security architecture. Complex security topics are addressed by this course, which introduces a set of security design patterns that address the application of cloud security mechanisms and technologies in order to establish sophisticated, custom security controls for preventative and reactionary responses to common threats and attacks. A hands-on lab during which participants apply the patterns, concepts, techniques, and mechanisms covered in previous courses, in order to complete a series of exercises that present real-world security problems. This course explains IT governance as it pertains to the evolution and regulation of cloud computing environments and assets. Numerous models and framework components are explored to establish structured models for identifying and associating cloud governance precepts and processes to cloud project stages. This course builds upon the fundamental models and framework components and identifies and describes numerous cloud governance precepts and processes for cloud project Define, Build, Test, Deliver, Operate, Consume and End Stages. A hands-on lab during which participants apply the cloud governance framework components, models, precepts and processes covered in previous courses, in order to complete a series of exercises. This course expands upon the cloud storage topics introduced in Module 2 by further exploring cloud storage devices, structures, and technologies from a more technical and implementation-specific perspective. A set of cloud storage mechanisms and devices are established, along with in-depth coverage of NoSQL and cloud storage services. A number of advanced topics are introduced in this course, including persistent storage, redundant storage, cloud-attached storage, cloud-remote storage, cloud storage gateways, cloud storage brokers, Direct Attached Storage (DAS), Network Attached Storage (NAS), Storage Area Network (SAN), various cloud storage-related design patterns, and the overall information lifecycle management as it applies specifically to cloud-hosted data. A hands-on lab during which participants apply the patterns, concepts, practices, devices, and mechanisms covered in previous courses, in order to complete a series of exercises that pertain to solving cloud storage problems and creating cloud storage architectures. Core topic areas pertaining to the fundamental virtualization mechanisms and types used within contemporary cloud computing platforms are explored, along with various key performance indicators and related metrics. 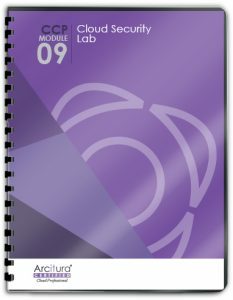 A range of specialized and advanced design patterns that build upon Module 16 to explore virtualization-related reliability, performance and integration, as well as combinations of mechanisms are covered, whereby the problem scenario, application, and solution are presented for each individual design pattern. A hands-on lab during which participants apply the models, concepts, and techniques covered in previous courses, in order to complete a series of complex exercises that enable participants to demonstrate proficiency in applying design patterns to solve common problems in cloud-based environments. A hands-on lab during which participants apply the concepts, models and practices covered in previous courses, in order to complete a series of exercises that pertain to solving cloud capacity problems and creating cloud capacity management solutions.